November 26th is quickly approaching. Please see information you can use to promote. Now is the perfect moment to “hit send” with messages about Small Business Saturday through your communications channels. The more you spread the word, the more success small businesses in your community will have on November 26th! 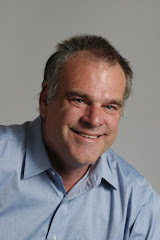 In addition to sample social posts, click here for a new Small Business Saturday press release. Issued last week, it contains new, statistics you might want to post. They complement the social posts that follow. Rally small businesses and consumers on Facebook, Twitter, and Instagram using provided templates. 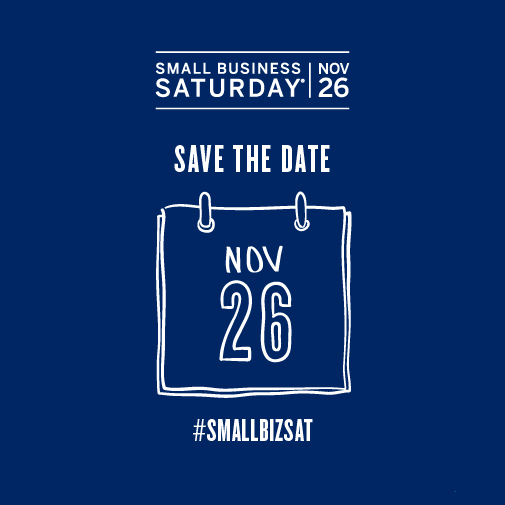 Ready to get into the #SmallBizSat spirit on Nov 26? Don’t forget to #ShopSmall and show love for small businesses. Join us on Nov 26 as we celebrate #SmallBizSat. Don’t forget to #ShopSmall and show love for small businesses. 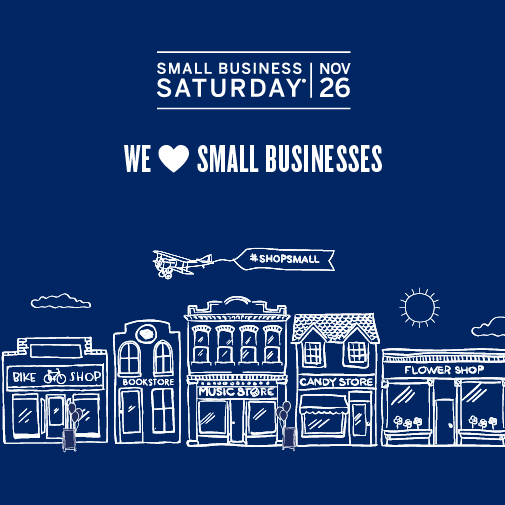 Nov 26 is #SmallBizSat and we want small businesses everywhere to feel the love when customers #ShopSmall with them. Nov 26 is #SmallBizSat and we want to see people everywhere #ShopSmall and show love for small businesses. Use this heart to signify your support for small businesses. You can hang it up in your offices and give it to customers or employees. Please note -- we know many of you are off the celebrate the Thanksgiving Holiday, please enjoy the holiday and keep an eye out for exciting news and updates from the Coalition! Last but not least: Don't forget to use #ShopSmall! Please note a very important directive from the Insurance Commissioner. Effective Jan 1 2017, all claims - including first-aid claims - must be reported to the Workers Compensation Bureau. It will be required that the amount paid must be included even if it was not paid by the insurance company and will be included in your experience modification calculation. It seems to me you might not want to pay these claims yourself. See link for Bureau notification. I think all of you are aware of Small Business Saturday. Please see information on how to participate and get information about campaign. Thank you for being a Small Business Saturday Coalition Member! Over the past six years, Small Business Saturday has helped small business owners with their most pressing need — getting more customers. We want to make this our biggest and best year yet. 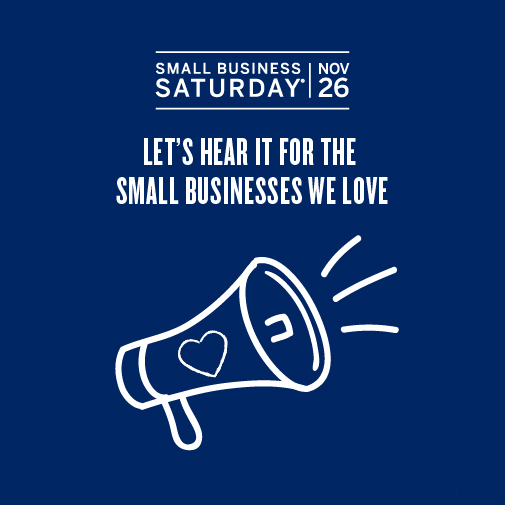 We’ll be asking communities everywhere to show their love for small businesses on Nov 26. As a Coalition Member, you can spread the word and create excitement leading up to the day by leveraging your brand reach and social media channels. We’ve made it easy to promote Small Business Saturday to your small business customers, consumers, and your employees with pre-made marketing materials and some creative thought starters below. • Tell them to visit ShopSmall.com/GetReady to customize free downloadable marketing materials that can help attract more customers on Nov 26. • Encourage them to engage their followers on social media. • Direct them to your blog or website for content about making the most of the holiday shopping season. 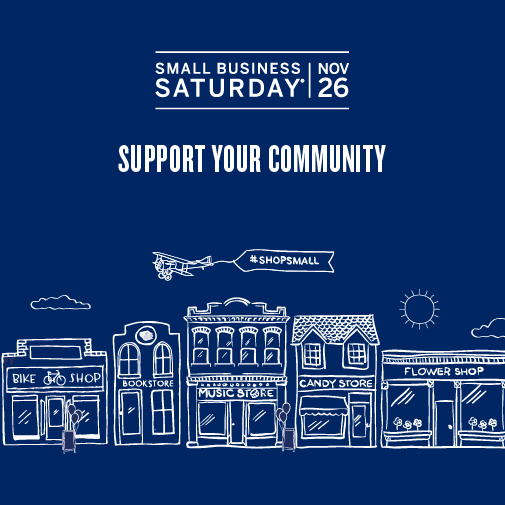 • Employees: Motivate your community to #ShopSmall on Nov 26, Small Business Saturday. • Consumers: Encourage consumers to #ShopSmall at small businesses in their communities. • Communities: Spread the word that you support small business. Distribute the Business Owner handouts to your small business customers and inspire them to participate and promote themselves with free downloadable marketing materials from ShopSmall.com. Or use the Consumer Handouts to remind consumers to show love for small businesses on Nov 26. Display these banners on your online channels such as a website, blog, and Facebook page. Use this email template and copy to encourage consumers to get out and show and small businesses to visit ShopSmall.com/GetReady where they can create free custom marketing materials to help attract customers on Nov 26. Get the word out about Small Business Saturday with this press release template. Please adhere to the Marketing and Logo Guidelines document. It outlines the rules for using Shop Small® and Small Business Saturday assets. Assets are not to be altered (except as indicated) or used outside of their intended purpose.